In February, Star Trek fans were devastated to learn that legendary actor Leonard Nimoy had passed away at the age of 83. Nimoy had an impressively long resume spanning film, TV, stage, writing, photography and more, but to millions of people, he was best known for playing Spock in the Star Trek franchise. His death shocked the community, and in its wake came plenty of beautiful tributes, including on The Big Bang Theory and the Oscars. And now, there's a moving Leonard Nimoy tribute in Star Trek Beyond , the latest movie in the franchise, that is absolutely heartbreaking to watch. In J.J. Abrams' previous two Star Trek films, Star Trek and Star Trek Into Darkness, Nimoy had a prominent role as Spock Prime, the older version of Zachary Quinto's Spock due to the movies' alternate timeline. Yet sadly, Nimoy passed away before production on Star Trek Beyond began, and so he was unable to film any scenes for the new movie. The film doesn't simply write off the character or ignore the actor's death, though. 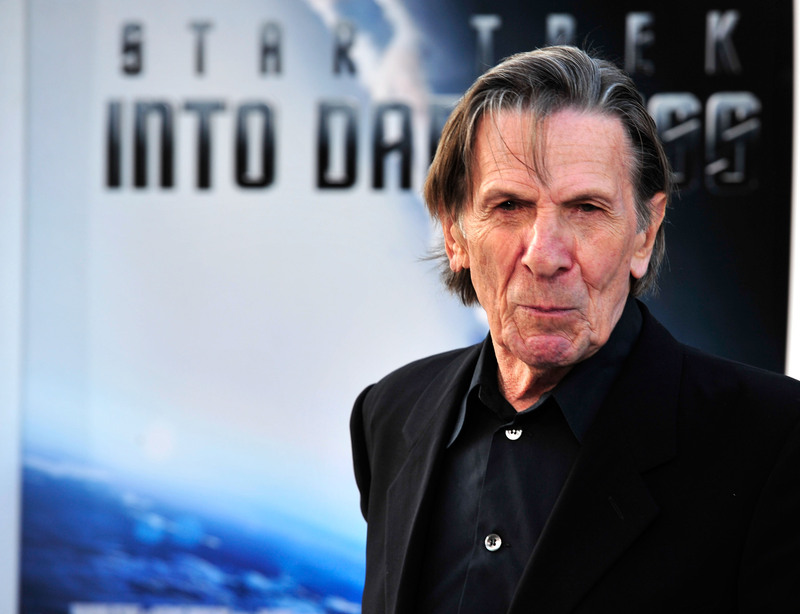 Instead, it pays tribute to Nimoy in a truly moving way. Spoilers ahead! Relatively early on in the new movie, out July 22, Quinto's Spock hears that Spock Prime has died. The news causes him to re-consider his own choices and his place in life, as in the first Star Trek movie, Spock Prime was the one who convinced Spock not to leave Starfleet, but now, Spock can consider leaving the Enterprise in order to embrace his Vulcan heritage fully. It's not Beyond's biggest storyline by far, but it is an important one, and it shows how much of an impact the character of Spock Prime has on the others, even after his passing. That's far from the only part Spock Prime plays in the film, though. There's a heartbreaking scene in which Spock goes through Spock Prime's possessions and sees a photo of him as well as the other original crew members (played by William Shatner and the like). It's a sad but sweet scene that'll likely bring fans of the original films to tears, but it won't be the last time that happens — when the film's credits roll and the "In Loving Memory of Leonard Nimoy" dedication appears, the sobs will be flowing. It's so nice to see that despite not being able to film scenes with Nimoy for the movie, Star Trek Beyond still manages to incorporate him in such a sweet, emotional way.